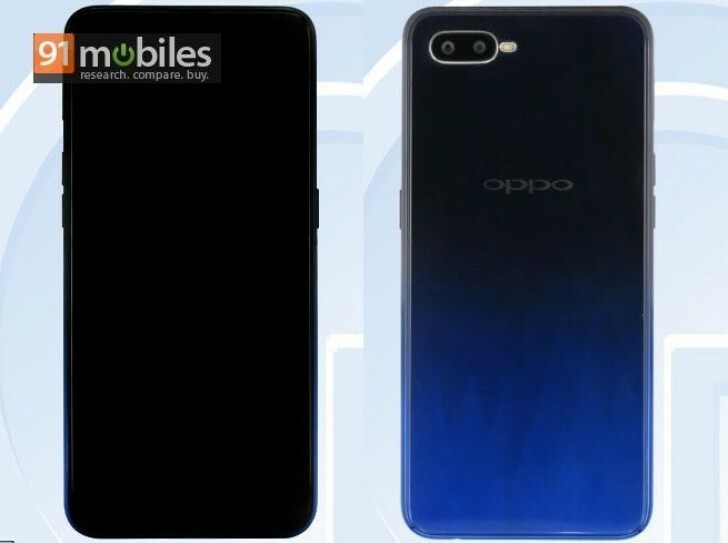 News about Oppo R15's successor broke yesterday with information coming straight from Oppo itself. At an event, the company teased the Oppo R17 name. In any case, today's leaked TENAA document further confirms the existence of the device with an exciting color scheme and dual camera setup on the back. The renders don't show much on the front, but it's clear that the standard fingerprint reader is missing. There's nothing on the back either. This could mean an in-screen fingerprint or that phone will rely only on face recognition tech like the Find X. Full-screen panel on the front is also plausible. Anyway, the listing also reveals a 6.3-inch display and 3,415 mAh battery lighting up the pixels. The model numbers read PBCM00 and PBCT00. Sadly, that's all we could gather from the document, but we are sure more information about the handset will soon follow.